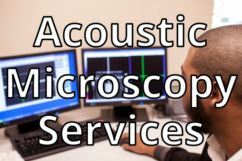 AcousTech, Inc. is a leading provider of acoustic microscopy services. We serve a wide array of industries and are involved in many applications, including part qualification, lot screening, and the tin whisker mitigation process. X-ray inspection is a quick and cost-effective method for identifying nonconforming or inconsistent internal construction features such as, differences in die size, bonding configuration, and leadframe design. No matter how sophisticated the technology or innovative the procedures become, there’s always a place for visual inspection of microelectronic parts and components. In conjunction with C-SAM® and X-Ray inspection, we can perform it to a wide range of industry standards. AcousTech, Inc., is an analytical services laboratory. 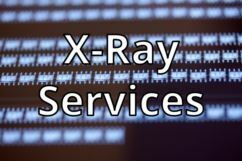 We specialize in the acoustic micro imaging and x-ray radiography of electronic components and assemblies. Our customers come from a broad spectrum of industries, including military, aerospace, semiconductor manufacturing, medical device manufacturing, and automotive. We also work for and in partnership with other test labs as well as those who broker microelectronic parts and devices. a true partnership approach whereby we consult and collaborate openly with clients to assure that their testing needs are fully met. In partnering with our clients, we enable them to make informed decisions about their products and components. Let us demonstrate how we can do that for you. Contact AcousTech. 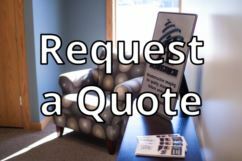 And if your needs are immediate, Request a Quote today.